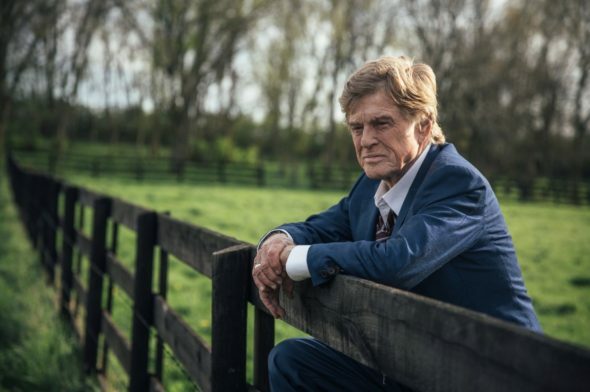 Even if this doesn’t end up being Robert Redford’s final film as an actor, it’s understandable why he’d be tempted to make it his swan song. Redford’s decades-long status as a screen icon has always leaned more on charm than range, and The Old Man & the Gun wears that strategy like a favorite pair of broken-in boots. Director/co-writer David Lowery adapts a magazine article on a likable rogue named Forest Tucker, who broke out of San Quentin at the age of 70 and earned his folk hero status with a string of brazen bank robberies. Tucker (Redford, natch) plots the heists with his grey-haired gang of two (Danny Glover, Tom Waits) and flirts with the farm-living Jewel (Sissy Spacek) while lawman John Hunt (Casey Affleck) is on his tail. And the old scalawag couldn’t be happier while doing it. The story is light and whimsical, but thanks to the veteran actors and the slyly understated direction, it’s got a frisky heart that won’t quit. Watching Redford and Spacek together is a joy in itself, as Jewel’s bemused-but-curious reaction to her new suitor only brings more twinkles to his eye. Then there’s Affleck easily filling Hunt with the perfect strain of frustration-laced respect, and Waits delivering some deliciously dry one-liners. But it’s Lowery who may be the real wonder here. After Ain’t Them Bodies Saints, Pete’s Dragon and A Ghost Story, he again shows unique storytelling instincts no matter what tonal gears he’s shifting. This film is a satisfied mosey, one that serves as a sunset ride for a Hollywood legend while letting the exploits of a charming bandit reinforce the value of just loving what you do. For Tucker, it was robbing banks. For Redford, it was being an iconic leading man. Lowery makes sure they both get a proper sendoff.